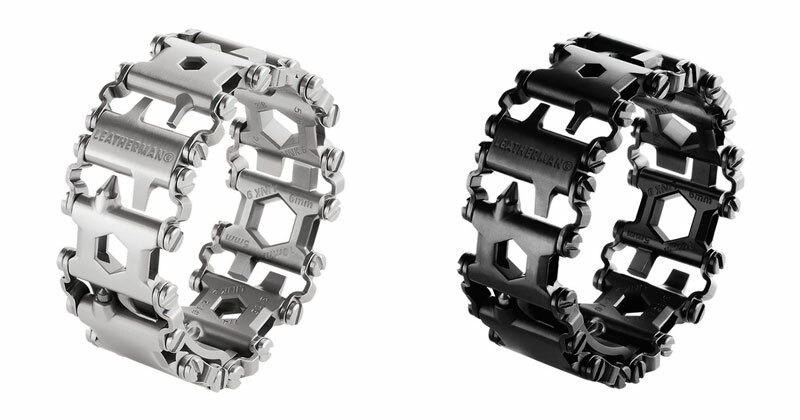 Leatherman recently unveiled a 25-piece multi-tool that can be worn on the wrist. 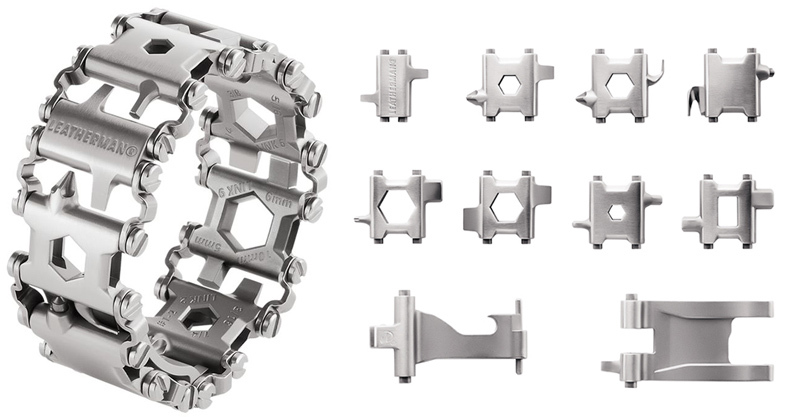 Engineered from 17-4 stainless steel, Leatherman Tread makes tools like Allen wrenches, screwdrivers and box wrenches available at a moment’s notice. 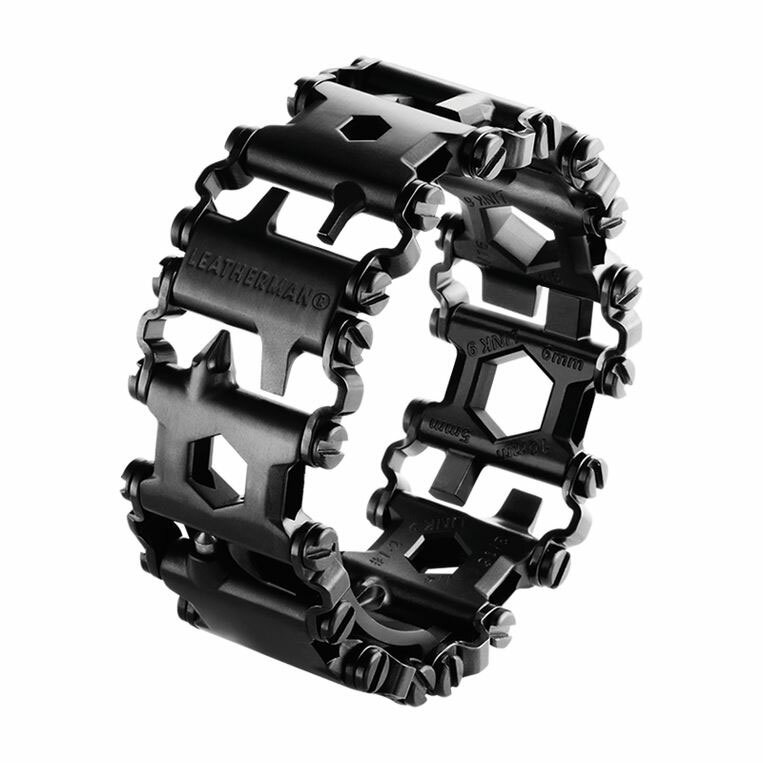 Adjustable to ¼” to accommodate any wrist size and fully customizable with the links you need most, the Leatherman Tread is a functional and travel-friendly wearable that you can even take with you on your next flight. When Rivera returned from his trip he started wearing a bike chain bracelet to see how it would feel. As his thoughts took shape, he brought his idea to the engineers at Leatherman who helped fast track his plans. By adding or removing links, the band is adjustable in 1/4″ and 1/2″ increments. This product is compliant with current TSA (Transportation Security Alliance) regulations for allowable carry-on items and a version of the Tread that includes a watch will be available in Fall 2015. 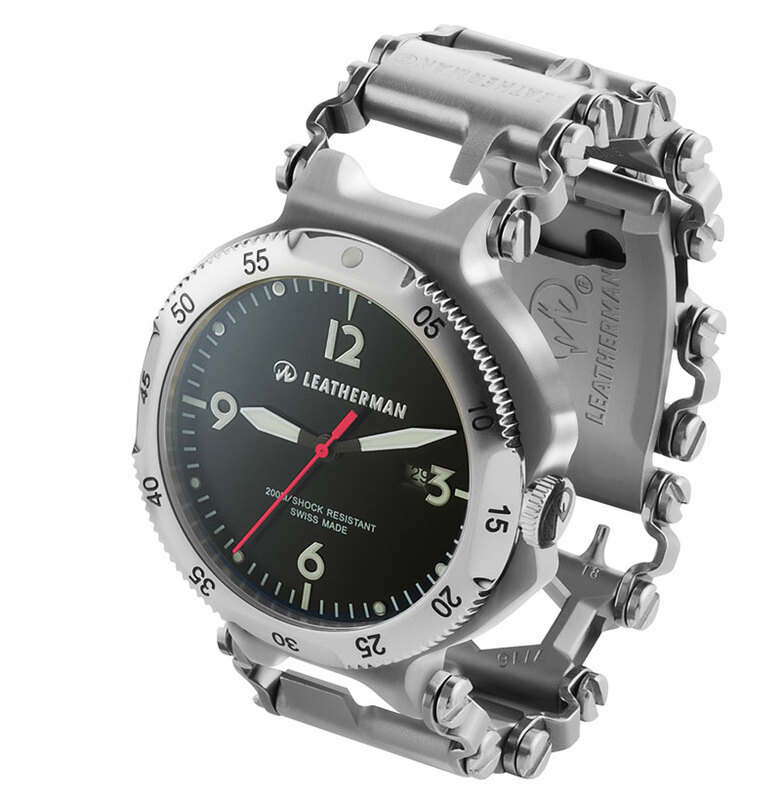 For more information visit Leatherman’s official site and blog.